Millennials were saddled with debt, denied jobs by the recession and forced to watch their parents struggle during the housing crisis. Of course they talk about money. Millennials are going to talk about their salary and finances, and they don't care if you aren't comfortable with that discussion. According to a new study from TheCashlorette.com. Americans ages 18 to 36 say they discuss how much money they make with their immediate family (63%), friends (48%) and even coworkers (30%). Though "How much do you make?" is a question considered taboo by other generations - especially in the workplace -- 33% of older Millennials (ages 27-36) say they share their salary with their colleagues. That's more than any other age group and four times more than Baby Boomers (ages 53-71, 8%). However, Baby Boomers (71%) are most likely to share what they make with their spouse or significant other. "We're definitely seeing more transparency when it comes to salaries. And, it's likely for the better," says Sarah Berger, Founder of TheCashlorette.com. "Knowing what your friends and colleagues make in a similar field is empowering in making sure you're being compensated fairly and gauging when it might be time to move on or request a raise." It isn't that all Americans are shy about divulging financial information. Roughly 64% of Americans tell their spouse or significant other how much money they make, while 51% share with their immediate family members. However, just 36% tell friends what they earn and 20% share that information with their coworkers. Millennials may be incredibly comfortable with finances as a result of being saddled with enormous college debt, coming out of school during the recession and watching their parents lose much of their savings during the housing crisis. It's made them the most financially literate generation since the World War II generation that survived the Great Depression. According to a recent survey by LendingTree, 88% of Millennials and 90% of active U.S. teachers say a financial literacy course should be a required before high school graduation. Roughly 60% of Millennials and 56% of teachers felt passing a standardized financial literacy test should be a requirement for high school graduation. Meanwhile, a survey from RBC Wealth Management-U.S. and City National Bank found that 87% of all Americans believe that financial literacy should be taught in schools. Of that group, 15% said instruction should begin as early as elementary school, while 72% said it should be taught in middle and high school. "Having a basic understanding of how money, investing and our broader financial system works is critical in our society today," says Tom Sagissor, president of RBC Wealth Management-U.S. ". Yet there is a growing realization, particularly in the wake of the last financial crisis, that many people don't understand budgeting, investing or how simple financial products like loans work. That puts them at a disadvantage not only during their working years, but as they begin to contemplate retirement." However, the number of disadvantaged is rapidly shrinking. Though only five states require a dedicated finance course in high school, LendingTree notes that only 35% of Americans finished school without any financial education. Roughly 52% of Millennials who discussed finance very often at home took a high school course that included personal finance, compared to 25% of Millennials who almost never discussed finance at home took a personal finance course. Also, Millennials (ages 18-34) are far more likely than older generations to have received formal training in managing their personal finances. Roughly 21% of Millennials learned about personal finance in school, compared to just 11% of Generation X (11%) or their parents in the Baby Boom generation (9%). Meanwhile, Millennials parents have been a lot more helpful in this regard, if only by setting an example of what they shouldn't do with money. Almost 30% of Millennials learned about personal finance from their folks, compared to just 19% of Gen X and 10% of Boomers. The percentage of Millennials left with no financial education (29%), is far lower than that of Gen X (37% or Baby Boomers (38%) as a result. "Having an early foundation in financial literacy would significantly help the average American through critical financial decisions, like saving for retirement, financing a car or buying a home," says LendingTree chief executive Doug Lebda. "With a better understanding of basic financial concepts, not only will we be more empowered to make smarter decisions regarding our finances, but we'll be able to ask the right questions when needed." Millennials are already making that clear. According to Bankrate, they're feeling secure in the employment and job security and have a better overall financial situation than they did a year ago. While other generations gripe about stagnant income, Millennials who are finally getting into decent-paying full-time jobs are finding their feet and accruing savings. "A key reason why Americans aren't feeling as rosy about their finances is stagnant income," said Greg McBride, CFA, Bankrate.com's Chief Financial Analyst. "Although the market continues to add more jobs, with the supply of workers in many fields outweighing the demand, there have been fewer pay raises." 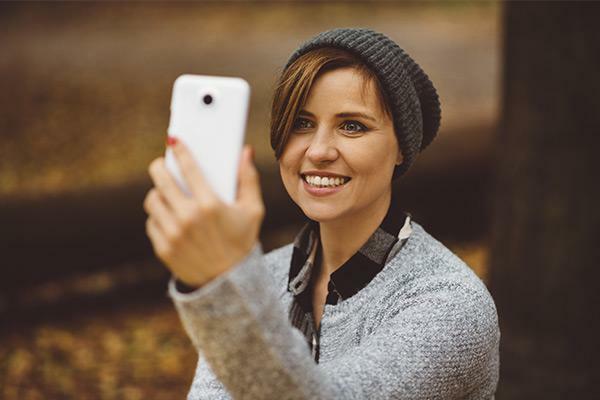 Millennials aren't exactly sure they have it all figured out yet, as a survey by financial firm Franklin Temple notes that Gen Xers and Millennials are both stressed out about retirement savings and investments (76% and 70% respectively). Also, 90% of Millennials are concerned about paying for expenses during retirement, compared to just 50% of people overall. However, despite the fact that 40% of Millennials have no retirement plan in place at all, 35% of Millennials feel their retirement plans will fare better than those of past generations. In that regard, they've already broken a cycle of financial hardship that's been in place since their parents were their age. "The approach towards personal financial literacy in the United States is currently very reactive, instead of being proactive," LendingTree's Lebda says. "Instead of having an ingrained understanding of basic financial and economic concepts, some Americans are forced to find less-than-ideal solutions when met with financial roadblocks." Not surprisingly, 15.5% of Millennials who grew up in a household with an annual income of less than $25,000 (17.3% of respondents) discussed finance either often or very often at home. On the other hand, 28.7% of family households who earned over $100,000 annually (25% of all respondents) discussed finance often. Those most likely to be burdened with financial issues in America are also the least likely to discuss finances at home. But the trend toward increasing financial education shows that, too, may be changing. "Money has long been considered a taboo topic, even among family," says Malia Haskins, vice president, wealth strategist at RBC Wealth Management-U.S. "We've seen many of our clients struggle with how to talk to their kids about money. In fact, many ask their financial advisor to have the conversation with their kids because they aren't comfortable doing so themselves." It's reached the point where there's one last holdout when it comes to financial conversation: The wealthy. Roughly 5% refuse to talk about health care issues, though long-term care insurance provider Genworth says 70% of people over 65 will need long-term care. As a result, a survey of wealthy investors by financial firm UBS Wealth Management finds that 77% have not set funds aside for future medical expenses, only 50% have factored healthcare costs into their overall financial plan and just 23% have saved for their future care. Meanwhile, the greatest fear among wealthy investors as they age is being a burden to children (42%), beating out surviving on life support (34%) or living in a nursing home (15%). It's a fear shared across the classes. Hartford Funds found that 46% of American workers and retirees are frightened of becoming a financial burden on their family members and not saving enough money to enjoy their later life. Meanwhile, adult children are concerned about their aging parents' ability to live the lives to which they've become accustomed. "For the better-off in many countries, there has often been a sense of embarrassment or guilt surrounding their wealth and, as such, it was and/or is gauche to talk about.," says Nigel Green, founder and CEO of deVere Group. "There's the misplaced underlying feeling that to talk about financial privilege is to flaunt it. This shame-like sentiment is despite the fact that the wealthiest individuals have often been and continue to be some of the most important job and wealth creators and philanthropists." But the discussion of wealth doesn't always have to be a garish display of said wealth. As Green notes, business leaders, politicians, celebrities and those who have inherited their wealth routinely have their finances discussed in the public domain with the help of social media and other digital avenues. Instead of simply highlighting their wealth, that public notoriety also serves a watchdog function and acts as a check on income inequality. It not only puts into question how that wealth was obtained, but highlights the reasons that various other people don't similar opportunities to build their own wealth. "When money is an awkward topic of conversation, it is easier for people to get an unfair deal," Green says. "These people typically tend to be women and ethnic minorities. Silence about money issues can often allow the unfairness to continue unabated." Need a little help getting your finances under control?